After the failure of negations concerning the European quota of refugees, the president of the European Council, Donald Tusk, called Bulgaria and Hungary „exceptional cases“ because of their big „migration pressure“. 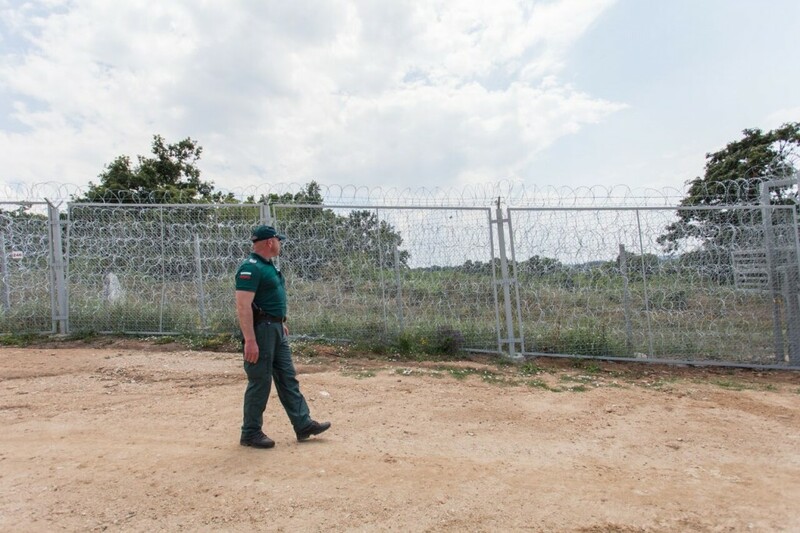 In addition to the border built between Bulgaria and Turkey, now the Hungarian government decided to build a wall on its border with Serbia. You can read Raia Apostolova’s analysis on the current situation here. The externalization of the European border regime proceeds in full force. Turkey has demanded that Europe needs to manage its migration in a better way, so as to stop the refugees who enter the continent and better secure its gates. Already in May 2015, Bulgaria, Turkey and Greece signed for a common contact center and agreed upon the establishment of joint border patrols. The circumstances for refugees in Turkey are not improving. You can read Mathias Fiedler’s article on the situation here. The route via Bulgaria is still one of the favored ones. In Bulgaria, more than 9.000 people entered since the beginning of the year. In May 2015, two Yezidis died on Turkish territory after contact with the Bulgarian Border Police. Meanwhile, the police union in Bulgaria staged a protest against the working conditions at the border, which encompass increased work hours. In June 2015, 30 buses with Yazidis tried to leave Turkey in a mass exodus to the European Union. 250 Yazidis were stopped from the Turkish gendarmerie just five kilometers from the Kapıkule boarder gate, near Edirne. After a five-hour–sit-in, the people set off to a refugee camp in Nusaybin/Mardin. At the central bus station in Istanbul many more Yezidis were waiting to cross into the EU and were held up by the Turkish police. Critics of the practice of the violation of the non-refoulement principle and the call on the Bulgarian authorities to „decriminalise irregular crossing of the Bulgarian border by repealing Article 279 of the Criminal Code“ occurred in a report by Nils Muižnieks, Commissioner for Human Rights, that was published recently. Already at the beginning of July 2015, a video was published, that shows border police men beating asylum-seekers at the turkish-bulgarian border. The situation in the open camps is still not satisfying. Dieser Beitrag wurde unter Allgemein abgelegt und mit fence, Hungary, Mardin Nusaybin, Mathias Fiedler, Nils Muižnieks, open camps, Raia Apostolova, Turkey verschlagwortet. Setze ein Lesezeichen auf den Permalink.